Price can always be a bit daunting when trying achieve the best bedroom makeover. But, with The Bedhead Co.’s helpful tricks of the trade, a small budget can go a long way into creating and designing a stylish sleeping space. 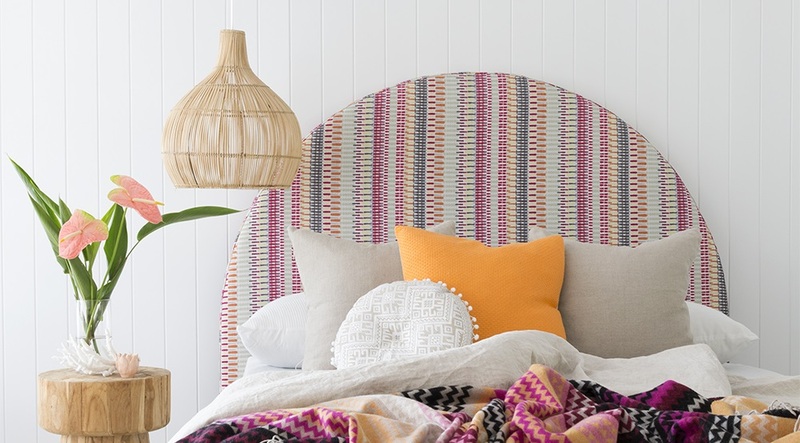 A bedhead should be at the heart of the bedroom, capturing the essence and atmosphere that you want to express.Whether you opt for bold or subtle, print or plain, it is important that you select a style that complements your space. Therefore, a bedhead will be the final decorative element that every bedroom yearns for. 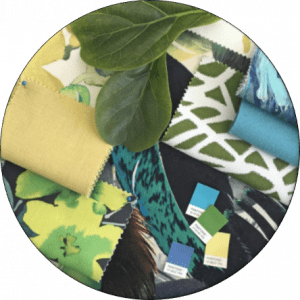 There is an underlying importance to select a colour palette in order to create fluency throughout your space. Select colours that complement each other, whether you pare back blues with off-whites and greys, or blush pink with pastels and whites. Don’t be afraid to throw in a hit of colour and be bold. The best thing of all, a colour palette is free! 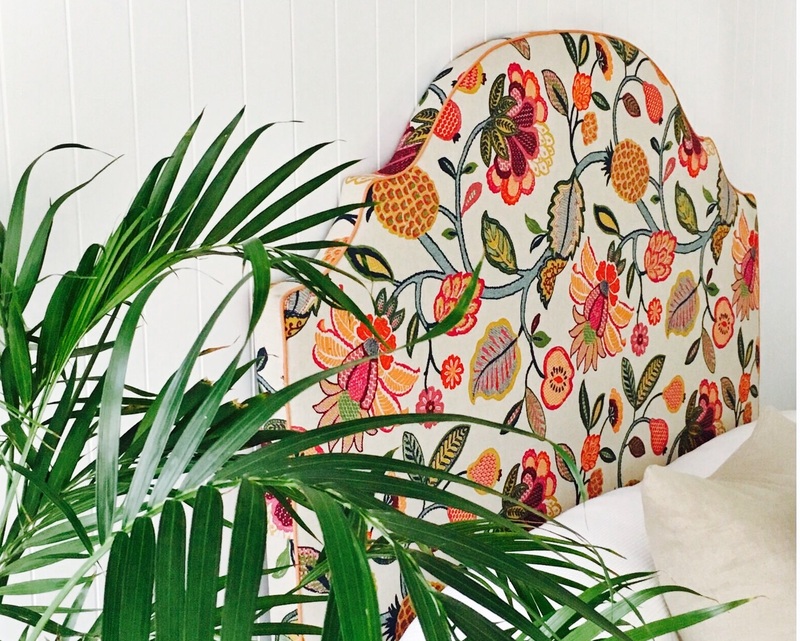 Offering a sense of relaxation and luxury, a plant or two can make the world of difference. Making you feel right at home, the greenery adds a hint of personality to your room while providing a fresh accessory. 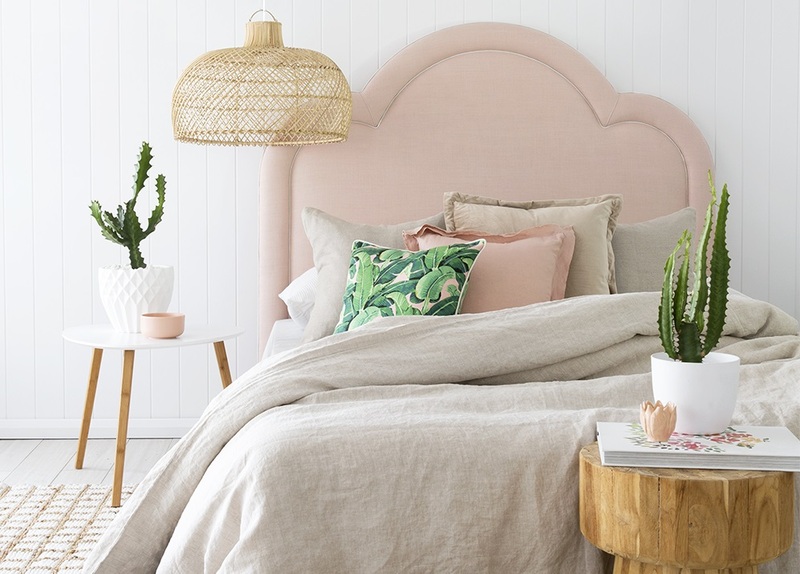 You can opt for a trendy Fiddle-Leaf fig or a succulent plants, which won’t break the budget for your bedroom makeover. If you’re not a green thumb, think about getting a fake indoor plant. Other than the warmth of your own bed, there is nothing better than waking up to a blissful scent, whether it is lavender, vanilla essence or the ocean breeze – the world is your oyster! In terms of price, candles are relatively cheap to come by but add a wealth of love and mood to your bedroom! Let your bedside arrangement offer a design flair your bedroom makeover yearns for. Complement your space with design elements that capture your true identity whether it is your favourite novel, coffee-table book, interior design files or a stack of carefully curated magazines. Remember that a bedside lamp can add the perfect mood lighting to any bedroom. As a result, creating a calming effect from a trendy, affordable lamp is the perfect addition to any room.